Care Roadshows are delighted to announce Quality Compliance Systems (QCS) as headline sponsors for all roadshows taking place across the UK in 2016. 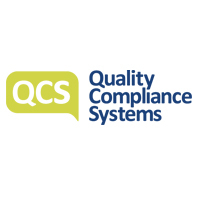 QCS is the UK’s leading supplier of compliance, quality assurance and policy management systems to the care sector. 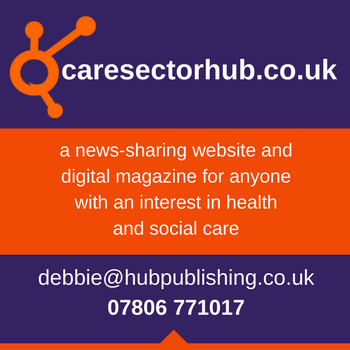 Their customer base has grown to over 14,000 registered users, ranging from large care home groups to independent homes and domiciliary care providers. The QCS system enables users to access, customise and download 2500+ pages of policies, procedures and guidance, all personalised to their organisation and updated automatically. The system’s far-reaching and innovative features enable users with wide-ranging needs to deliver great care while easily meeting compliance and quality assurance standards. Come and meet QCS’s team at the events and find out how they can help your care business. There is also the opportunity to hear from Ed Watkinson, QSC’s Head of Care Quality and Compliance, as he shares his advice on care inspections at each event. At the year’s first show, Care Roadshow Glasgow, taking place at Hampden Park Stadium on the 19th April, Ed will discuss how to prepare for care inspectorate inspections as The National Care Standards review is likely to change inspection methodology in Scotland this year. At Care Roadshow Cardiff in October, Ed’s seminar will look at the new Social Care and Well-Being Act, focusing on the new inspection framework and methodology and how this will impact on inspections. Ed will offer advice to help understand what inspectors will be looking for, and provide the latest information available. At the three other events taking place at Liverpool in May, Birmingham in July and London in November, Ed will focus on what care providers can do to create an environment where they are more likely to achieve ‘outstanding’ care. Quality Compliance Systems are exhibiting at all 2016 Care Roadshows. Click here to register your interest for these free events.